WHEN we understand the kind of influence exerted by the stars, and what steps to take in character-building to enable us to respond in the desired manner to the astral environment created by their positions, it remains only to act upon this knowledge to rule our stars. To a great extent we rule the wind and rain, the heat and cold; and even lightning does not possess the terror once it had. This does not mean that we have succeeded in preventing wind storms; but have devised means to utilize the moving air to drive our mills and propel our ships, and have erected shelters that usually protect us from its harm. It does not mean that the summer sun will not burn the exposed skin, nor that we have prevented sultriness in the out-of-doors. But we have devised clothing to cover our skin, and air-conditioning to provide for indoor comfort. Rain is utilized to grow our crops, artificial heat protects from cold. We do not prevent the various forces of nature, whether they be ocean currents, flowing streams, glaciating ice, or the ionizing cosmic ray, from acting. But through our knowledge we are learning to adapt ourselves rather successfully to these and other environmental forces. Nor can we prevent the planets from radiating the energies they most certainly do. But we can learn what those energies are and how they influence human life; and then take proper steps to utilize them so that they will work, not against us, but in a direction that will be to our advantage. The planets each broadcast an energy of a special type, but they are neither responsible for the character with which the individual is born nor for the events which later enter his life. He comes into human existence at the time they accurately map the dynamic thought-structures in his astral body, which are the outstanding factors of his character, in obedience to the line of least resistance. As it is easier for a chip to float down stream instead of up, so is it easier for him then to be born than at any other time. Nor are the progressed planets responsible for the events that come to him as life continues. It is true that they determine in great measure the astral environment at a given time; but how that invisible environment affects him is not determined thus, but by his reactions to it. Two things are involved in every condition and event of the individual’s life: the organization of thought-cells within his astral form which constitutes his soul, or character, and the environment to which that character reacts. Even though the environment remains the same, if the thought organization is changed, that which happens will be different. Change the thought structure of the astral body, and progressed aspects that otherwise had indicated misfortunes can be made to divert their energies into channels that will attract good fortune. As once destructive winds are made to drive his ships, and uncomfortable rains to grow his crops, so also with the understanding modern occult science gives can man make once fear-begetting aspects work for him. In the previous lesson we have considered that the urges of thought-cells, stellar structures, and other organizations within the astral form determine the actions, and how, once discrimination selects the direction in which the desire-energies should express, those energies can be diverted into the designated activities. But many of the events that come into the life can not be traced to our physical actions. They seem to be due to actions of others, and to conditions in the physical environment over which we have no control. If lightning strikes our house and kills a child, if an unexpected freeze destroys the crop, if a war breaks out and we must serve at the front, if another car crashes into the one we drive, if sickness comes into the family, if a bank failure takes our money and any one of a score of other events that do come into people’s lives should happen, we are apt to feel that no exercise of intelligence on our part could have made things different. Granting that many things happen which are beyond our control, such as wars and earthquakes; yet how our lives are affected by such events is not due to chance. The way we are affected by such events and the other events which come into our lives, such as our money being in a bank that fails, accidents, sickness in the family, unasked for opportunities—all are determined, not by chance, but by the inner plane activities of the thought-cells and thought-structures of our astral form. That which we are inclined to attribute to chance is never such; but always the working of a hidden law. And the law which governs the events and circumstances that enter every life is that which relates to the release of desire-energy on the inner plane. Each thought-cell has within it energy under tension, and each thought organization within the unconscious mind has still other energy stored and under tension. These energies strain for release. And when they gain enough additional energy, through more thought or planetary vibration, they spill over into unusual action. Nor is such action confined to the physical plane. It works in an equally potent fashion from the inner plane to attract into the life those conditions which are the objects of the desires of these thought organizations. In the proper place it will be indicated that true morality is conduct beneficial to the race. But the benefit an individual can render others is not determined merely by his physical actions. Often it is determined to even a greater extent by the events that are attracted into his life through the inner plane activities of the thought-cells in his astral body. If they cause him accidentally to kill some valuable person in an automobile collision, he has detracted from his usefulness to society. If they cause him illness, he has decreased his efficiency to contribute to the universal welfare. But if they attract to him those conditions and opportunities which enable him to avoid disaster and to live to his maximum usefulness, they have conduced more in the direction of true morality than would be the mere following of any physical line of conduct, however worthy the motive, that ended, because of unforeseen circumstances, in frustration. To be of greatest benefit to society, as well as most to benefit himself, and thus to live the highest type of moral life, the individual must not merely Sublimate the grosser desires until they flow into channels of physical action of noble purpose, but he must also RECONDITION, those thought-cells and stellar organizations within his astral body that tend to attract misfortune into his life, so that instead, they will work with equal energy from the inner plane to attract into his life those events which most conduce to spirituality, happiness and true success. That is, real Morality demands actions on the physical plane that are in the direction of Universal Welfare; and other actions by the thought-cells and stellar organizations which take place on the inner plane. Because the activities of cells and groups of cells within the unconscious mind usually do not rise into the region of objective consciousness, the individual commonly is unaware of the forces at work to attract obstacles, separations, friction, and even calamity into his life. In Chapter 5 (Serial Lesson No. 60, “Why Repression is Not Morality”) it was indicated how the urges that clamor for expression in physical activities can be utilized by diverting their energies into predetermined channels. This, however, is less than half the problem presented by morality. The other, and larger part, relates to the diverting of the energies which express in inner-plane activities, so that they shall contribute also to the more effective life. And it is this that we shall now consider. The first conception that must be clearly grasped is, as explained more fully in Chapter 1 (Serial Lesson No. 56, “Doctrine of Esoteric Psychology”), that human birth is merely one cross-section of the soul’s journey through time. It has existed before, and it will exist after, human incarnation. And the character with which it is born into human life is the result of all the experiences it has had up to that time; the organization of these experiences as thought-cells and stellar structures in reality constituting the soul, unconscious mind, or character as it exists at that particular moment. 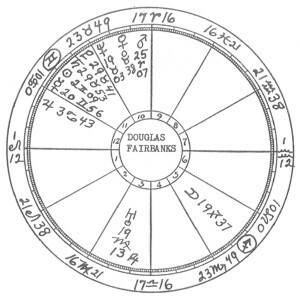 The birth chart maps the more important factors of the character, and their chief relations to each other, as they have been formed up to the moment of birth. It does not map the characteristics that are added to the soul, or unconscious mind, after the time of birth. Yet it is the characteristics of the soul at the time, and not its characteristics at birth, that at a given period determine what events will then be attracted. Thus what is attracted into the life in the way of circumstances and events is the result of the inner-plane activities of the thought-cells of the astral body. What these activities are is determined by the desires they possess, just as the activities of observed behavior are due to the release of desire energies on the outer plane. What these desires are, and the manner in which they release their energies are determined by the manner they have been CONDITIONED in the past. Therefore if we are to get these desire energies of the stellar-cells and stellar structures to flow into more acceptable inner-plane channels of expression, and thus attract a better fortune, we must RECONDITION them. There is a direct relationship between energy and work, and this relationship is as true on the inner plane as on the physical. No matter how effectively it is directed one can do only so much work with a twenty-horsepower engine. And no matter how effectively it is directed, events of only so much importance can be attracted by thought organizations working from the inner plane that have a limited supply of energy. 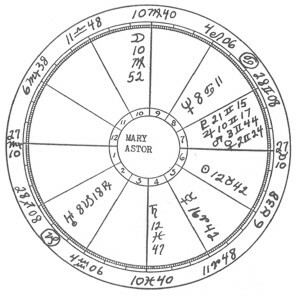 The birth chart indicates rather closely, by the positions and aspects of the planets—the number of astrodynes they possess—the amount of energy at birth in the thought-cells in each compartment of the astral body, and therefore available to attract events relating to that department into the life. But it should be remembered that the birth chart shows only the desire energy relative to that department as it existed at birth. That desire energy was built into the astral body gradually through states of consciousness associated with the things having to do with the department. And there is no reason to suppose that the thought-building process stopped at birth. 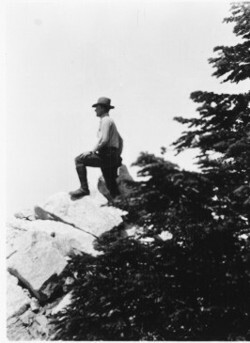 In other words, if sufficient thought and effort is devoted to it, by building new thought-cells and re-organizing old thought-cells in the compartment of the astral body relating to some department of life, in spite of anything the birth chart shows, enough energy can be added to the thought-organization there that it will work from the inner plane and attract important events concerning this department. The general rule, supported by comprehensive statistical studies, is that the more energy—astrodynes—possessed by the thought-organization associated with a given phase of life the more important, either favorable or unfavorable, the events relating to it become. If, therefore, it is considered to be in the direction of a more effective life to attract events that are of greater consequence relative to any department, the thing to do is to work as energetically as possible to build experiences relating to it into the finer body. Not only work with the things of the department, but think and feel often and strongly concerning them. After all, what your birth chart now indicates has all at some time thus been built into the astral body, and the process is as open for use now as it was before human birth. Planets prominent in a birth chart indicate thought organizations in the astral form possessing much energy. But the volume of energy thus available is mapped in terms relative to the total energy of the astral form rather than in terms that can be measured on some standard scale applied to all individuals. A horse or a cow may have the same birth chart as a man, but not be able to do the things the man can do. An Eskimo may have practically the same birth chart as the editor of New York’s leading newspaper, yet never be able to read or write. Among his people, where the level of his evolutionary ascent placed him, he may be the chief disseminator of news. Relative to the other thought-energies in his astral form those signifying ability to acquire and impart information of current interest are as prominent as those in the astral form of the editor. But compared to those of the editor they have little power. Thus it is that from a birth chart it is much easier to determine the special types of ability possessed by an individual than to determine how far he will go in the development and application of the indicated qualities. But whatever he does thus possess in the way of energies mapped in his birth chart, he has the power immensely to increase by intelligently directed effort. What the stellar-cells and thought structures of the astral body attract into the life with such energy as they possess is determined by the way they are conditioned. This applies not only to those with which the individual was born, but also to all that have been added by subsequent experiences. The thought-elements enter into discordant psychoplasmic compounds when they are conditioned by feelings of distress, and into harmonious psychoplasmic compounds when they are conditioned by feelings of pleasure. The aspects in the birth chart reveal not merely the relationships existing between the different departments of the life, but also what type of compounds exist at birth in the stellar-cells having to do with each department of life. Stellar-cells and structures that have been conditioned by pain, when they release desire energy, use their psychokinetic power to attract into the life similar pain. A physical habit that is once firmly established, no matter how detrimental it is, because paths of association have been formed, tends to follow this line of least resistance. So also a discordant thought-compound in the astral body that has become ASSOCIATED with a certain kind of pain, no matter what the effect upon the organism as a whole, it finds it easier to release its desire-energy through pain-begetting channels. That is its habitual mode of expression. If, therefore, the individual expects to attract to himself events that are more fortunate than those indicated by the aspects in his birth chart, he must change the CONDITIONING of the thought-compounds in his astral body which those birth chart aspects merely map. To the extent he can do this will more fortunate events come to him. Again it should be pointed out that the birth chart indicates the manner in which the thought-cells and organizations were conditioned at the time of birth. It does not indicate that their energies must remain conditioned in that particular way. 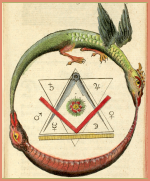 In fact, even as the primitive desires characteristic of the snake, the scorpion, the badger and the fox, existing in the human astral form as derived from prehuman experiences, are usually reconditioned during infancy into socially acceptable channels of expression; so should those who would live more fortunate lives set about to recondition the misfortune-attracting thought organizations of their astral forms so that they will work no longer to attract disadvantages, but will as energetically strive to bring into the life advantageous conditions. Yet as we found in Chapter 5 (Serial Lesson No. 60, “Why Repression is Not Morality”) in the case of repressed desires, before energies can be reconditioned so that they will manifest through other channels they must first be recognized. And it is a function of the birth chart to point out in no uncertain manner the thought-compounds in the astral body which attract each type of difficulty. A discordant aspect indicates at each of its planetary terminals where a dynamic stellar structure has been built of thought-cells whose elements have entered into a disagreeable compound. And the thought-cells in the compartments ruled by these two planets partake also of this disagreeable quality. They have been conditioned by pain. Consequently when the two departments of the life connected by the aspect are present in the thoughts, there is either consciously or unconsciously, and often both, a feeling of dissatisfaction and annoyance. Harmonious thinking and feeling about the things thus mapped by discordant planets in the birth chart rearranges the thought-elements in the stellar-cells related to these things. And as an aspect really maps a line across the astral body of such a length as to pick up, radio fashion, the quality of energy indicated, such a reconditioning, when successful, dissolves the old stellar aerial and forms a new one which is able to pick up planetary energy that is free from static. That is, an aspect in the birth chart not only indicates whether, and to what extent, the thought-compounds at its terminals are harmonious or discordant, but it actually maps a line of astral substance which performs the function of picking up such planetary energies as are indicated by its terminals, and picking them up in harmonies or badly loaded with static. Work always consumes energy, and it is this planetary energy largely which is consumed in the psychokinetic work performed from the inner plane by the thought-cells in attracting events into the life. What they attract depends on how they have been conditioned, and how that feeling is modified by the new energy reaching them through the thus formed receiving set. The planets in the sky form good aspects and bad aspects at closely spaced intervals. It is not, except as these affect world conditions, the aspects of the planets in the sky that form from day to day and from month to month that give the thought-cells in our astral bodies the kind of energy they express in attracting events. Mars energy, Saturn energy, Jupiter energy, and all the other planetary energies are being broadcast from their respective stations constantly, even though at times somewhat stronger than at other times. It is not the energy being broadcast that affects us, it is the type of energy picked up by our own receiving sets—which are mapped by the birth chart places and progressed positions of the planets—and thus added directly to the thought-cells at their terminals in the astral body. Those receiving sets—mapped by the positions of the planets in the birth chart and by progressions—that have well defined and strong aerials, pick up in volume the energy to which they are tuned. The length of the aerial, or line across the astral body mapped by an aspect, determines both the volume of energy picked up and whether it delivers it as a harmonious vibration to the thought-cells at its two terminals, or delivers it so loaded with discordant static that it gives them acute distress. As with the ordinary radio set, it is not the programs that are being broadcast at any given time that affects us pleasantly or unpleasantly. It is the particular program of the many coming over the air which we tune in on. And the stellar aerials extending across the astral body of an individual, such as are mapped by aspects, determine the programs of planetary energy picked up and added to the stellar-cells of the astral body. No matter how badly the planets are aspected on a given day, unless we have stellar aerials that are tuned discordantly, and thus to the programs of these discordant planets, no discordant energy from them can reach us. These lines through the astral body, such as the birth chart and progressed aspects map, are not due to planetary positions, they are due to the ASSOCIATIONS between different groups of thought-organizations within the astral body. Such associations are not merely energy relations between groups, but these energy relations have caused the mental elements at each terminal to enter into a type of compound characteristic of the association. The aspect thus points infallibly to the type of compound in the stellar-cells, unless something special since birth has been done to change it. As the line across the astral body mapped by an aspect is not due to planetary positions but to thought-cell composition and thought-cell organization, if the thought composition of the stellar-cells is changed, and a different organization effected, the line across the astral body which is the outgrowth of the original compounds and relationships also will be changed. Through rearranging, the thought-elements in a compound such as is mapped by a square aspect between planets, can thus be transformed into a luck compound such as is mapped by a trine aspect between planets. The same thought-elements are present in each of such compounds in about the same proportion. But they have been CONDITIONED at the time of the formation of the obstacle compound so that they have arranged themselves in a manner to express a type of desire which works energetically to attract obstacles into the life. When they are RECONDITIONED, through giving the thought-cells at either terminal of the aerial harmonious associations of greater volume and intensity of energy than was given to them discordantly in their building, the thought-elements become rearranged in the thought-cells, and the old line across the astral body is dissolved. In its stead there is gradually built as an outgrowth of the new compound, another line, not mapped in the birth chart, but which acts quite as effectively in its capacity as an aerial to pick up planetary energy as the old one did. This new, deliberately built, stellar aerial picks up the energies broadcast from the same two planets that the old one did. But it picks them up only in harmonious vibratory rates, such as when delivered to the thought-cells at the terminals intensifies their desires to work from their inner plane to attract fortunate events into the life. That is, it gives them the additional energy they need, and in the harmony they require, to enable them to perform on the astral plane work of the character they represent which is beneficial to the individual. Such rearranging of the thought-elements within the stellar-cells, and rearranging the stellar-cells within their stellar structures, without adding in any appreciable amounts thought-elements of a different family to the compounds and structures, is called CONVERSION. Only the general principle of Conversion here can be set forth, as the process is considered with full detail in Course IX, Mental Alchemy. But it should be brought to the attention, in connection with its processes, that no new principle is involved. In sublimating the grosser desires of which the individual may be somewhat conscious, they are Conditioned through the use of Pleasurable Associations, not so that their energies will fail to express, but so their energies will be led into channels of expression that are favorable to the individual and the race. And in CONVERSION, a similarly sound psychological technique is employed, not to prevent the expression of the urges of the thought-cells and thought-organizations of the astral body, but to Condition them through the use of Pleasurable Associations, so that their energies will be led into channels of expression that are favorable to the individual and the race. The only difference in the process is that in Conversion we deal with desires that express on the inner plane. The rearrangement of the thought-elements and stellar structures, and the stellar aerial which grows as a result, are effects of the Conditioning process, and indicate the new energy relationships established. In other words, any condition within the astral body shown in the horoscope of any individual in the world, either in the birth chart or by progression could be built into any other person’s astral body if enough thought-energy could be acquired. It is true that physical life is too short, with the thought-energy most people have, to build into the astral body those thought-cells and organizations that express as genius or that attract world recognized power. But to the extent they do build into themselves the same thought-cells and thought-cell relationships possessed by genius or men of world-wide power, they also must inevitably attract to themselves similar external events. What comes to any individual is attracted by the thought-organization and thought-element composition of his astral body. It is not due to the planets. The planets do furnish the energy with which the thought-cells work. But the kind of work done by the planetary energy thus utilized is entirely determined by the desires of the thought-cells and stellar organizations. That is, we build our fortune, as well as our abilities, through our experiences and how we mentally react to them. If we want a different kind of fortune, the only way we can get it is to build into the thought-cell compounds and structures of the astral body such desires as will attract it. Because on the astral plane as well as on the physical plane, work consumes energy, the thought-cells in the astral body can only do unusual work when they acquire, from some source, an unusual amount of energy. Such energy can be supplied by properly directed intense thought and feeling, but commonly it is furnished by the planets. 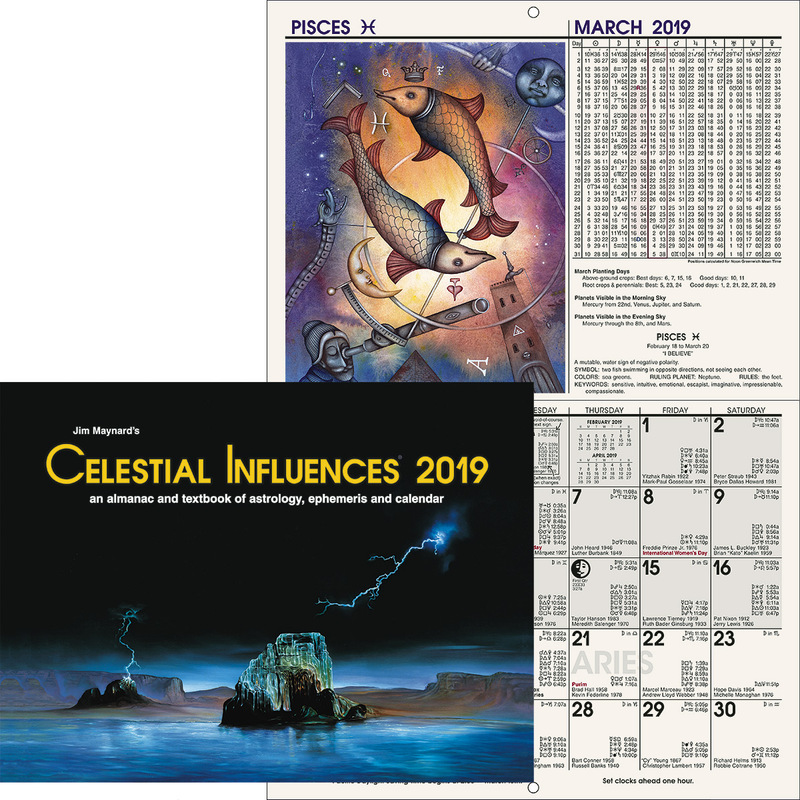 The life moves along its normal trend, the thought-cells doing the work for which their desires condition them, with such planetary energies as the stellar aerials with which the individual was born—mapped by the birth chart aspects—can supply them. But when a progressed aspect forms within one degree of perfect, the natural growth of the astral body under cyclic law causes a temporary line to develop across it. This line connecting the two groups of dynamic thought-cells, for the temporary period of its duration, which is as long as the aspect is within one degree of perfect, acts as a temporary stellar aerial to pick up the energies of the planets mapping its terminals. The temporary line, acting as an aerial, picks the energy up either discordantly and loaded with static, or harmoniously, according to its length. This energy, whatever its nature, harmony, or discord, is carried to the thought-cells at the terminals, giving them both the impetus and the ability to perform unusual work. The energy they receive thus gives them a power they did not before possess to do work on the inner plane. And statistical work with the events that have come into thousands of people’s lives, whose birth charts are known, and whose progressed aspects have been calculated, shows that unusual or important events come into their lives only at those times when the thought-cells relating to the department of life influenced thus receive additional energy from the planets. Events worthy of being noted are always indicated by appropriate progressed aspects. It is not a difficult thing to determine when unusual events affecting a certain department of the individual’s life will come to pass. They come to pass when progressed aspects are within one degree of perfect. But it is entirely another thing to determine how much benefit, or how much distress, will be coincident with the aspect. If the stellar-cells affecting a department of life have been conditioned harmoniously at birth, as shown by birth chart aspects, or if they have been more harmoniously conditioned since birth, no amount of discordant energy reaching them from a temporary stellar aerial can cause them to feel mean enough so that they will find expression in attracting an unfortunate event. The energy they receive will build up their desires until they spill into definite inner-plane actions, but they have been so strongly conditioned to work through channels favorable to the individual that they do not know how to work in any other way, in spite of the inharmony and static they receive with the new energy supply. On the other hand, if the thought-cells reached by the new energy supply have been conditioned at birth to feel distress, and to find an outlet for their desires only through actions detrimental to the individual, no matter how harmonious the new energy added may be, they will not work entirely in beneficial ways. They will not act so disastrously to attract misfortune as if the new energy supply had increased their pain, but neither can they feel joy. Because they have been so strongly conditioned to attract pain, the desire can only find satisfaction in some measure of discord. All of which is said to indicate that which astrological research amply proves, that the CONDITIONING of the thought-cells and thought structures in the astral body more surely determines the nature of their inner-plane activity than does the discord or harmony of the energy they receive at any particular time through a temporary stellar aerial. Yet the quality of the energy they receive over a temporary aerial, through its harmony or discord, and its family type, also tends, during the time it thus reaches the thought-cells, to Condition them in a particular way. It may not have sufficient Conditioning energy, except as it stimulates thoughts and attracts events, to rearrange the thought-elements in the stellar-cells to any great extent, but through the feeling it stimulates in these cells it tends in this direction, and gives them desires they normally do not have. Even a person acts differently when in distress than when experiencing pleasure, and this distress or pleasure prolonged leaves a permanent impress. Thus is signified, even though progressed aspects merely indicate temporary supplies of energy of a given kind, and do not indicate the thought-cell composition, that exactly the same methods are applicable in handling a progressed aspect as in handling the same birth chart aspect, except that the method need be applied only while the aspect is within one degree of perfect, instead of more persistently. This being the case it would be useless repetition to indicate each method of control as applied to the positions and aspects in the birth charts and then again indicate it as applied to progressed positions and aspects. A progressed aspect merely indicates that energies of a specific type and harmony or discord are being at that time supplied certain thought-cells in unusual volume, and that, therefore, there is more acute need then of applying the methods of control than at other times. These methods are five in number: The most obvious is through manipulating the physical environment and directing the physical actions. Other than this most external method, which for practical reasons is limited in its effectiveness, there are only two avenues by which the conditions indicated in a birth chart or the nature of the events indicated by a progressed aspect can markedly be altered. One is by changing the thought-compound of the stellar-cells and stellar structures reached by the planetary energy, so that because they have developed different desires, any energy reaching them will be utilized in a different type of inner-plane activity. Such are the methods of Conversion and of Mental Antidotes. The other is by changing the volume or the harmony or discord of the energy reaching the thought-cells, so that it will incite to more or less activity, or so that it will make them feel more disagreeable or more congenial such are the methods of Character Vibration and of Rallying Forces. 1. Manipulating the Physical Environment. The earth is subject to different weather conditions simultaneously in different regions. And the energy delivered to the thought-cells in a certain compartment of the astral body, and therefore influencing that department of life is in the nature of an astral weather condition affecting one region strongly, and perhaps another region not at all. That is, it may affect money and have no influence over the health or affections. One may take heed of storm warnings in a particular department of the life to prepare the external conditions so little damage will result, and turn the attention to some other region where the sun is shining, as explained more in detail in Chapter 1 (Serial Lesson 183), “How to Act Under Adverse Aspects,” Course XVIII, Imponderable Forces. Or to state the astral storm indications in terms of energy and work: The activities of the stellar-cells from the inner plane can only bring such events into the life as the physical environment makes possible. If the physical environment is so arranged that a certain type of event can not happen, it will not happen, no matter what the birth chart and progressed aspects are. That is, the thought-cells can only do as much work from the astral plane as they have energy to accomplish. And if the environmental resistance to a particular event is sufficiently high they do not acquire enough energy, and events that they otherwise would attract do not happen. The events which tend to be thus attracted if nothing is done about it, and what actions should be taken to give a high resistance, are given detailed consideration in Course X, Natal Astrology: Delineating and Progressing the Horoscope. 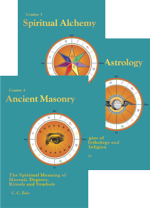 In connection with birth chart aspects considerable attention already has been given to Conversion. It can also be utilized quite as successfully in handling a progressed aspect. 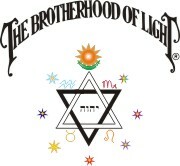 The progressed aspect indicates a line giving different groups of thought-cells ASSOCIATIONS they did not before possess, as well as adding to them planetary energy. Such energy relations if permitted to set up strong trains of thought and to attract characteristic events, may cause changes in the thought-compounds. But instead of permitting such changes if they are not advantageous, and instead of permitting thought-cell desires which are disadvantageous to develop, through predetermined thought ASSOCIATIONS the thought-elements within the cells receiving the additional energy supply can be rearranged, and their desires so conditioned as to make it easier for them to work to attract fortunate events than those of misfortune. As the nature of the work done from the inner-plane by the thought-cells and thought organizations within the astral body is determined chiefly by the thought-compounds of which the thought-cells are formed, changing these compounds give them a different type of activity. In Conversion the attempt chiefly is to rearrange the thought-elements already present within these compounds. But, even as when certain chemical elements are added to a chemical compound already formed, they unite harmoniously and readily with one or more of the elements present, converting what before was a dangerous compound into one highly beneficial; so there are mental elements, called Mental Antidotes, that when added to a compound containing another specific mental element, unite with it and quickly change the compound into one harmless or even beneficial. Thus the work of changing a dangerous, or difficult, thought-cell compound into one that is harmless or advantageous, is much easier through the use of proper Mental Antidotes than through the process of Conversion. Conversion depends for its efficacy entirely upon Reconditioning the desires of the thought-cells through changing their feeling. And if a compound is to be changed by Mental Antidotes into a highly beneficial type of activity, this Conditioning through giving the compound harmonious feelings also is necessary. But certain mental elements when brought together, by their own type quality, tend to unite with a feeling of harmony, and will do so unless otherwise conditioned by painful experiences accompanying their union. Mental Antidotes, because cultivating a type of experience or thought suffices, without the necessity of giving so constant attention to intense feelings of pleasure, are the easiest applied of all methods of changing the composition of the thought-cells beneficially. They do not merely change the arrangement of its thought-elements, but they also add new thought-elements which give a different character to the compound. The thought-cells then act differently when they receive energy either from the aerial mapped by a birth chart aspect, or from a temporary aerial mapped by a progressed aspect, because they possess thought-elements that have changed their substance into a very different psychoplasmic compound. This whole matter is set forth in detail in Course IX, Mental Alchemy. The nervous system of man, through the electric currents flowing over it, is tuned by his thoughts to pick up, radio fashion, the type of planetary program corresponding in harmony or discord and in type to these thoughts. That is, the individual can tune himself to feel rather intensely in a certain way, and the electric currents flowing over his nerves then pick up energy of this quality radiated from one or more of the planets. Such electric currents also serve as conductors carrying the astral energy thus received to all the stellar aerials of the astral body. So long as a particular state of feeling is maintained the chief astral energy received by the stellar cells at the terminals of all the aerials is of this particular planetary type, and of this harmony or discord. Thus can be controlled, to the extent the individual can direct his feelings, the type of planetary energy, and the harmony or discord of that energy, which is transmitted to the stellar cells in his astral body. As it is easier thus to keep the consciousness tuned to some aerial already present in the astral body, mapped either in the birth chart, or by progression, than merely to develop and hold a certain feeling, birth chart aspects and progressed aspects may be used to indicate the Rallying Forces, as they are called, which are easiest of cultivation. A certain feeling developed and maintained tunes the person in so completely on a specific wave-length and program, that other wave-lengths and programs are not strong enough to make their influence felt at the receiving sets. This does not to any extent change the composition, and therefore the basic desires of the thought-cells, but it does temporarily cause them to feel either better or worse than usual, and gives them energy with which to do more than the usual amount of work. Rallying Forces, which direct the desires of the stellar cells through the quality of energy furnished them are fully considered in Course IX, Mental Alchemy. Not only our human associates by their thoughts, but all the objects and conditions of our environment, are radiating astral vibrations which are similar to those that reach us from the planets. Such astral vibrations, not those of thought and not those from the planets are called Character Vibrations. And any such invisible energy reaching the astral body of the individual stimulates into additional activity the thought-cells of the astral body having the same vibratory tone. Names, numbers, tones, colors, types of environment, etc., radiate definite vibratory rates and thus influence those with whom closely associated. They may, therefore, be selected for the specific effect they will have in furnishing a definite kind of energy to the thought-cells. Chapter 6 (Serial Lesson 108), “Friends, Enemies and Associates,” Course X-1, Delineating the Horoscope and Chapter 2 (Serial Lesson 184), “Sympathies and Antipathies” Course XVIII, Imponderable Forces explain this method fully, and Course VI, The Sacred Tarot goes into much detail in regard to such vibrations. Experiments carried out in a dozen universities have now conclusively demonstrated psychokinesis, which is the non-physical power of the mind to move physical objects and bring about physical conditions. This psychokinetic power is not confined to the unconscious mind as a whole, but is exercised also by each group of thought-cells within the unconscious mind. Whether the events that come into the life are fortunate or unfortunate depends upon the desires of these thought-cells. Good luck and bad luck are not fortuitous. Good luck is due to the psychokinetic power of harmonious thought-cells within the finer form, and bad luck is due to the psychokinetic power of the discordant thought-cells within the finer form. The importance of the event is the algebraic sum of the psychokinetic power of the thought-cells working for the events minus the resistance of environment. Thus what comes into our life is not due to the positions of the stars either at our birth or after our birth; it is chiefly due to the psychokinetic activity of the thought-cells within our astral bodies. If we would rule our stars, therefore, in addition to manipulating the physical environment intelligently, we must change the thought-cell activities. When these activities are altered the change thus in our character can not fail to bring a corresponding change in the events and conditions attracted. May 23, 1883, Denver, Colo. 39N45 104W59, 9:00 a.m. L.M.T. 1895, stage debut in “On the Bowery” (Mars the fighter sesqui-square unconventional Uranus r) with Steve Brodie who had jumped from Brooklyn Bridge (Mars in the Propaganda-decanate in the 10th at birth, progressed to sextile Jupiter r). 1914, his antics and athletic stunts on the lot were displeasing to Griffith, the producer, but “The Lamb” (where Mars is located) his first film, under Sun semi-sextile Sun r, was a success. The dominance of Mars gave him screen fame in Robin Hood, The Gaucho, and Thief of Bagdad. May 3, 1906, 8:10 p.m. 89:30W. 41:30N. At six, moved, Venus conjunction Jupiter r ruler of home (4th); studied (Mercury) dramatics (Neptune), Mercury semi-square Mars p, Mars inconjunct Neptune r; took honors in school play, Venus conjunction Jupiter r in house of public (7th). 1923, second in N. Y. beauty contest, given part in pictures: Mercury, ruler of stage (5th), sextile Neptune r, trine Uranus r.
1936, great publicity to romance diary: Sun square Moon r (publicity), Venus conjunction Neptune r (romance) and opposition Uranus r, ruler of house of writing (3rd).